Today’s world is driven by meaningful communication that is instantaneous across digital platforms. Because of this, real-time customer feedback is more important than ever, which is why many companies are investing in Voice of the Customer (VoC) programs. Real-time feedback alerts allow you to not just deliver a better consumer experience, but also attract new customers through an increase of positive online reviews. 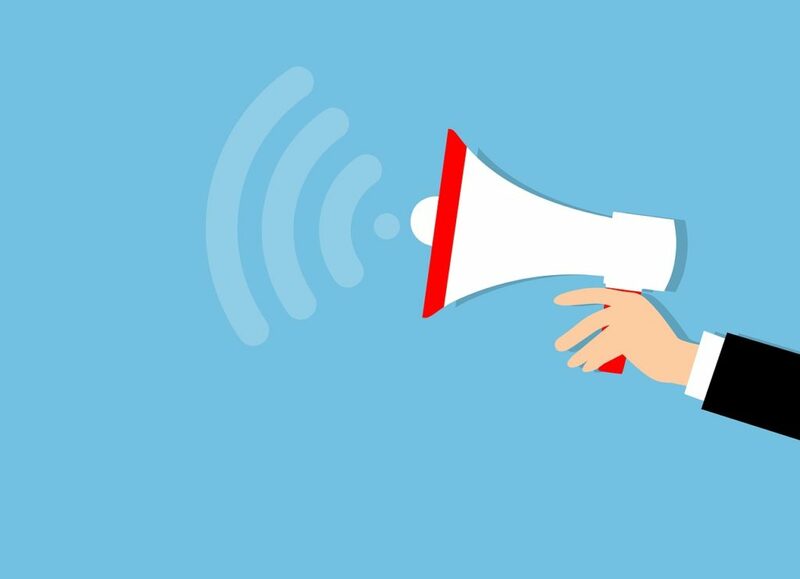 Before you start a Voice of the Customer campaign, however, there are some important things to consider, including how to implement a program and how to best use the data. Voice of the Customer refers to an in-depth process of capturing customers’ expectations, preferences and negative feedback. At their core, Voice of the Customer programs collect and analyze customer insights so you are able to make the necessary changes needed to improve the customer experience. Done right, a Voice of the Customer campaign should increase both consumer loyalty and sales. Most successful VoC programs are a closed-loop process that allows members of a company to act quickly when customers have a negative experience with the brand. Why Does the Voice of the Customer Matter? In a world of immediate gratification, personalization is quickly becoming the expectation rather than a luxury. Consumers demand what they want, how they want it and when they want it. This means a business has to completely understand what their customers want and how those expectations should be met. A good VoC program helps businesses understand where the gap is between what their customers want and what their business currently delivers. If you use this feedback constructively, you should be able to provide better customer service or build better products that will help you retain customers. This customer-centric way of thinking is skating to where the puck is going with customer relationships as expectations continue to climb. All too often, business or marketers believe they know better than the customer, or at least think they know what their customers want. These organizations design products or services focused on their perceived value rather than what the customer perceives as valuable. The reality is most of these initiatives fail because they do not have consumers’ desires at their core. Using a VoC program will help you avoid pitfalls like this and take better care of your customers. Chances are, if you take care of your customers, they will take care of you. If they don’t feel like you are listening to them, they are going to let you know. Since the invention of online review platforms, consumers have felt empowered to share their opinions about a business online. Sometimes, for the consumer, It can feel like shouting into an endless void because of how many businesses refuse to interact with negative feedback online. Consumers don’t share their complaints online to undermine your businesses or leave a negative comment for others to read. They expect you to listen to their complaint, act on it and tell them how the problem has been solved. Here’s one way you can instantly improve your customer experience: don’t be afraid to acknowledge a complaint, promise to fix the situation and remind them you appreciate their business and you hope they are willing to give you another try. Above-average customer service and responsiveness to their concerns will help you gain their loyalty and drive business success. Now that you see the value of listening to your customer and how a VoC program works, you are ready to learn how to build a program of your own. By using these five steps, you will be able to completely change your company culture into a customer-centric one. Jump-starting a customer-centric company culture can’t happen in a vacuum. To establish a successful and scalable program, you need to get buy-in from key leadership figures to ensure maximum impact and ROI. This means selling the concept to C-suite level leaders who set the tone for their teams. You will want to make sure they understand that a customer-centric program isn’t just a fancy marketing initiative–it’s a fundamentally new way of thinking. Once they understand this, you can better explain the benefits of listening to your customers in a more proactive way. You will also need to have a clear vision of how the program will work and focus on one goal. Focusing on a singular pain point will help leadership understand what they are buying into and what the expected outcome will be. Once you’ve established the value of the program, you can start aggressively expanding it to solve more problems. Don’t ask for the resources for a fully mature program before you can even start to crawl. Aim small, miss small. To be clear, a VoC program is unlikely to succeed without executive buy-in. You will need their influence to help you change the culture of their teams. If you are able to do that, you are well on your way to improving your customer experience. One of the fastest ways to get your VoC program off the ground is to focus on aligning your program with the vision of the company. Oftentimes, VoC initiatives are dead on arrival due to poor communication around them. While you know the value of the program, that doesn’t mean that everyone else does. Look across the organization to find common problems or mission statements that could be supported by a VoC initiative. Sit with your customer experience/relations teams and listen to what customers are saying about your product or services. This will help you get a better idea of what kind of problems you need to solve for across the enterprise. Once you have these data points, it’s much easier to sell the vision to both an executive team and the floor employees. The long-term success of a VoC is dependent on an engaged workforce that is actively trying to perform with a customer-centric mentality. A fully committed team will also be more willing to collaborate across the company when actionable insights start rolling in that require action from cross-functional teams. Having alignment on what the goals of the program are and how each area of the company fits into a long-term vision will help your VOC program flourish. By this point, you have the buy-in from the organization and are ready to implement the program. The next step is by far the easiest (or maybe the hardest depending on what they are saying): actively listen to what your customers are saying about you online. This is the core of what a VoC is. Many businesses rely on only one or two channels for customer feedback, which greatly inhibits their ability to measure interactions with customers and get a clear picture of what they need to fix. This can lead to limited visibility into the consumer experience, or worse, lead to misinformed actions. You want to amass customer feedback from everywhere your customers are talking about your brand. You will need a comprehensive method of collecting, monitoring and reporting on customer feedback so you are able to close the feedback loop later. This means you will want a scalable solution that makes keeping track of customer feedback easy across multiple channels and will be able to adapt when how customers leave feedback online changes. Once you have all the customer feedback you want, it’s time to put those data points to good use. Before you are able to act on consumer feedback, you have to make sure you have all the right context to make informed decisions. This means performing a deep analysis of information coming in from multiple areas to get a clear view of the issues you need to address to improve the customer experience. This means designing a thorough reporting system that can help give context for actionable insights to anyone within your organization: from customer experience specialists to executive level leaders. A good platform will allow you to quickly get a sense of what people are saying about your company and what areas you need to improve on that anyone within the organization will understand. Another tangible benefit of having the right reporting is the ability to connect employees directly with customer feedback. Having this level of visibility can help your organization find areas for improvement within their department. Most importantly, this visibility can help employees within your organization better understand their impact on your bottom line. This is especially true if you have a lot of employees who experience face-to-face interaction with customers. Once you have examined the data through all the appropriate lenses, it’s time to take action to improve your customer experience. A customer-centric program still needs to deliver ROI for the business, so make sure you are taking action on improvements that will increase revenue. Start by focusing on small improvements that will have maximum impact on the organization. Ultimately, these KPIs will lead to long term revenue growth for your organization, but you will want to measure your success by tangible value for your organization in ROI. As with any major initiative, systemic change does not happen overnight. Adopting a consumer-centric way of thinking throughout an organization takes time, patience and adaptability in the face of sometimes hurtful customer feedback. Successful VoC programs take years of iterative innovation to continually improve the consumer experience. Remember, this isn’t just a new program: it’s a change in company culture. If you don’t have the right tool at your disposal, you’re never going to have the kind of feedback loop you need to make informed decisions about how to improve your consumer experience. At Binary Fountain, we make collecting, analyzing and acting on customer insights easy with a robust, application-focused detailed reporting. You can keep track of all of your consumer feedback in one place, making it easy to make the incremental improvements you need to stay ahead of the competition. Get insights into your customers’ perspectives with Binary Fountain solutions today by downloading one of our detailed eBooks or requesting a demo. We are here to help you better serve your customers.